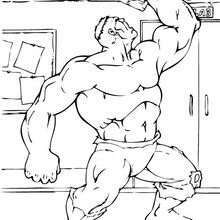 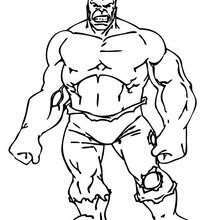 The Hulk was created by Marvel Comics. 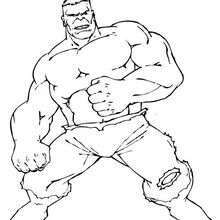 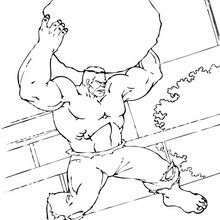 This fictional superhero the Hulk is portrayed as a large green humanoid that possesses immense superhuman strength and great invulnerability, attributes that grow more potent the angrier he becomes. 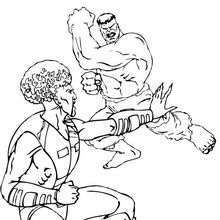 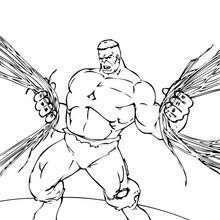 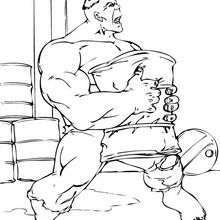 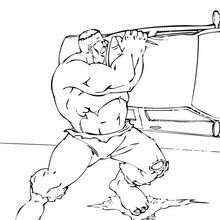 Hulk is the alter ego of Bruce Banner, a socially withdrawn and emotionally reserved physicist who physically transforms into the Hulk under emotional stress and other specific circumstances at will or against it. 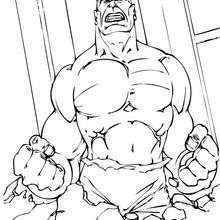 Bruce Banner first transforms into the Hulk after being caught in the blast of the gamma bomb he invented while saving Rick Jones, a youth who had wandered onto the testing range. 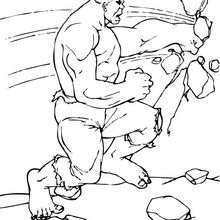 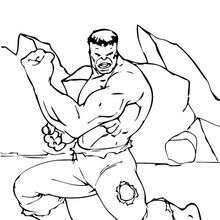 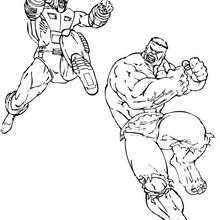 Enjoy The Incredible Hulk and other superhuman coloring pages you will discover from Hellokids. 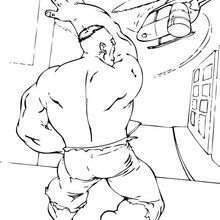 All coloring pages of your favorite superhero characters can be colored online with the interactive coloring machine or printed to decorate at home.